Constructed of sturdy oak, yellow birch and spruce, the now-abandoned White family home - built in 1894 - was a grand structure in its day. It was 1975 and the July morning sun made the chilly waters of Fortune Bay sparkle with enticing but false warmth as the 12-member White family gathered at the government wharf in Grand Bank, Newfoundland. While Cyril and his brother-in-law Ben hauled heavy coolers loaded with freshly made potato salad, baked beans, cold ham and beer, Florence and Mabel White oversaw the gentler handling of picnic baskets full of still-warm homemade bread, partridgeberry cake and several dozen molasses cookies. 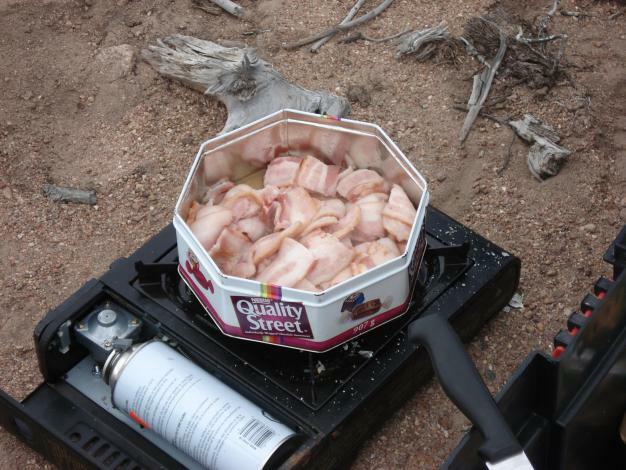 Lastly was a sturdy box containing an old propane stove, fuel and kettle needed to make the tea that no Newfoundlander could enjoy a Sunday shore picnic without. Cyril and his older brother, George, loaded the rented 26-foot pleasure boat with the day's supplies. The ladies scrambled for their heavier sweaters, coats and even a few blankets, in preparation for the 32-kilometre ride over the choppy waters of Fortune Bay to the small island of Sagona, their family's ancestral home. The house was still there waiting for them, though weather battered and broken in places. Oh, it was a grand structure in its day. Constructed of sturdy oak, yellow birch and spruce, all hauled to the island by barge from Harbour Breton, it perched high on the rocky, barren shore. Built into the side of a slope, it had two storeys, a low walk-out cellar and four perfectly symmetrical bay windows, two per floor, that looked out to sea. The roof was slightly sloped, designed with the predominant winds in mind; a peaked roof would more likely have been lost to a strong wind. William Bungay, the talented carpenter who built the home about 1894, had an intuitive knowledge of what it took to withstand the sea. William was Cyril White's grandfather, and he and his wife Effie had raised their son James and daughter Marguerite in the house. The low wall of flat beach rock, which surrounded the house like a fence, was overgrown in many places with yellow buttercups, wispy grasses and wind-tolerant lichen. Although the spruce exterior of the house looked grey and bleached, traces of red paint were evident on the cellar level and areas of patchy gold paint still framed the windows. Cyril's father, George White, was born in Jersey Harbour. As a young man, he moved to Harbour Breton. He married Marguerite Bungay and together they raised their family of four children (Mabel, George Jr., Basil and Cyril) in this very house on Sagona Island. George was a hardworking crewman on the Grand Bank schooners owned by merchants in St. John's or Fortune Bay. For several years he was employed as ship's cook. This was an opportunity to earn more money, but it also meant that he was at sea and absent from his family for greater lengths of time. The women of the community tended to things at home and they formed a sisterhood who rallied to help and support each other in times of childbirth and family illness, yet found occasion to laugh loudly in each other's warm kitchens. Spring and summer saw Marguerite White take to the rocky, shallow earth for the planting of hardy vegetables like potatoes, carrots, turnips and cabbages. The women and children also worked on the flakes, making sure that the fresh catches of cod, were dried properly and cured for the merchants to ship to countries like Portugal, Spain, France, West Indies, and Brazil. Cyril's older brother, Basil, had been born the night of the 1929 tsunami that had caused much devastation along the Burin Peninsula. The tremors were felt on Sagona Island but their wharfs, fishing stages and stores had escaped damage. When Basil was not quite eight years old, he took sick. He was seen by a visiting doctor who arrived on the hospital boat, Lady Anderson, which serviced the outports. That spring of 1937, George reluctantly left on a Grand Bank schooner for the season, even though the doctor had assured him that a fully recovered Basil would greet him at the wharf on his return. Sadly, Basil's health deteriorated over the ensuing months and he died, likely from typhoid, before George returned. Looking back on his previous fishing season, George recalled being sick at sea with many of the symptoms of typhoid. He had recovered from all signs of it before returning home to his family, but the doctor surmised that George had likely returned that year as a carrier of the typhoid virus. While everyone in the family was exposed to the illness, young Basil was the only one to succumb and be lost. He was buried in the island's cemetery, with the angels and the house watching over him. After Basil's death, George and Marguerite decided that relocating to the larger centre of Grand Bank would be in their family's best interest. Marguerite would be leaving behind her birthplace and her mother Effie, her father William, and her sister Jane and family. George would be leaving behind his brother Archibald and family. But being pragmatic was a necessity in those times, and the lure of a better, high paying job on the many ocean schooners that called into the large port of Grand Bank made them pack up and sell the stately house to a local family. The Whites' adjusted to the more formal, urban (for those days) lifestyle in the town of Grand Bank. George was again gone to sea for long periods at a time. Young Cyril began his formal schooling in Grand Bank, but savoured his time at the wharf. The schooners would pull in loaded with fresh catches, and Cyril and his school chums would eagerly take the crew's place for three or four days, for 25 cents an hour, and wash the boatload of fish. Even though Cyril had only lived on Sagona Island for the first six years of his young life, the summer winds whispered her name and images of his grandfather's house seeped into his dreams. He couldn't wait to accept the invitation extended to him each year from his Uncle Jim and Aunt Jane Bungay to return to the island for the summer. Dropped off by dory at the wharf on Sagona, Cyril was met by his Uncle Jim and his cousin Hubert. Until the age of 16, Cyril spent each summer on the island, helping Uncle Jim with repairs and chores and thriving on the freedom that only this small island could provide. The beach, often times enveloped in mist, drew Cyril and Hubert like a magnet. Secreted away there, the boys shared moments long to be remembered, such as their first puff of a cigarette. At 16, Cyril left school in Grand Bank and joined the ranks of the seafaring men. He spent two seasons at sea, long enough to realize it was not the life for him. In 1951, he headed to Toronto in search of his destiny. 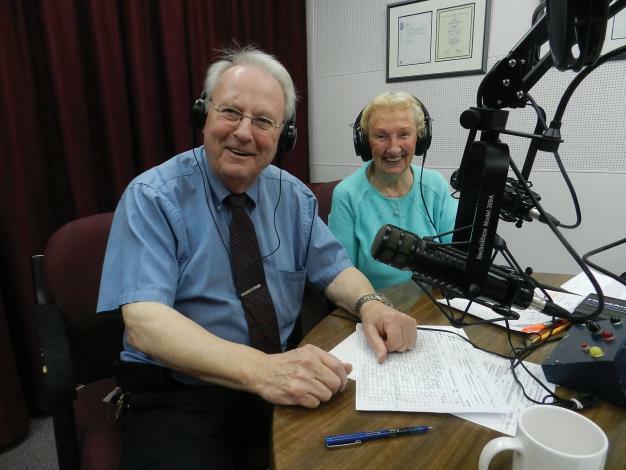 There he met his wife, Florence Hillier from Lamaline, also on the Burin Peninsula. They raised three boys, and shared their summers between their Ontario cottage and their Newfoundland hometowns where they revisited a way of life cherished by them both. 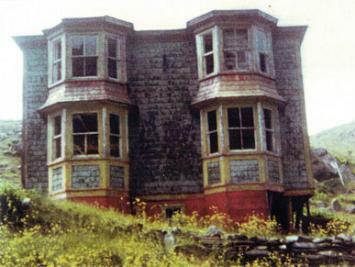 The history books record the facts that Sagona Island, Newfoundland was settled in the 1800s, had a population of 223 souls in 1941 and was abandoned in 1965. But the house remembers more than mere facts. It remembers the smell of a kettle of boiled vegetables and salt beef simmering on a stove, the sight of the White family gathered around the kitchen table for the noon meal and the sound of the pelting rain turned to snow and then back to rain on a March night. Take a moment and you will hear her voice calling above the sound of the crashing waves and squealing sea birds. As summer winds down and tourism operations close up after a busy season, you may be wondering what activities there are to do on the weekends or during a shoulder-season holiday. Have you tried hitting the local links? Golfing is enjoyable, challenging and perfect for the cool fall weather. On the Burin and Bonavista peninsulas you will find first-rate golf clubs and resorts, so you can get in a few more rounds - or try a new sport - before the first snow falls. Brookside Golf Course 9 holes Nestled within beautiful Hatchet Cove, Trinity Bay, family-run Brookside Golf Course offers a challenging nine-hole round of golf with contoured fairways and gorgeous surroundings to boot. After you have played a round or two, kick up your feet and relax with a cold beverage at Brookside's cozy clubhouse. When you're ready to get away from the green, take a stroll along the beach and waters of Southwest Arm, or take a picnic lunch to one of the area's abandoned communities or sheltered coves. You will find Brookside along Route 205, 17 km east of Clarenville and 11 km off the Trans Canada Highway. 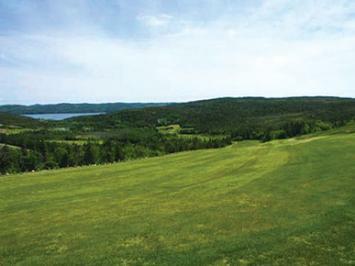 Grande Meadows Golf Club 9 holes Located next to Frenchman's Cove Provincial Park, on the west side of the Burin Peninsula on Route 213, Grande Meadows Golf Club has something for everyone, from the avid golfer to the eager amateur. Built along a peninsula of level land bordering the Great Garnish Barasway, the course is fun and challenging. For those that need a little more practice before teeing off, Grand Meadows has a large driving range, practice sand bunker and green that offers group and individual instruction. If you're in need of golfing gear, check out the Pro Shop. 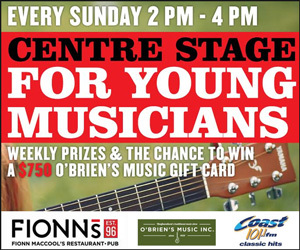 After you've worked up an appetite visit the clubhouse, which includes Mulligan's Restaurant and a lounge that can accommodate groups of up to 80 people. The park also offers swimming, a picnic area and a playground. Terra Nova Resort 18 holes + 9 holes Boasting the award-winning 18-hole Twin Rivers golf course and 9-hole Eagle Creek, Terra Nova Resort in Port Blandford offers an experience for golfers of all skill levels. The meticulously manicured fairways set against the rugged beauty of the area make this world-class destination especially unique. If golf isn't your preferred game, guests can also enjoy tennis, basketball or swimming. The resort, which has 83 rooms and fully furnished chalets, also offers a complimentary children's recreation program. The Clode Sound Dining Room and Mulligan's Pub offer traditional Newfoundland fare and more that is sure to make your mouth water. While in Port Blandford, explore the T'Railway and Eagle Creek Trail or go salmon fishing (check for season dates) on the Northwest River. The View Golf Resort 9 holes With breathtaking scenery and a combination of flat terrain, gentle slopes and rising hills, the nine-hole course at The View Golf Resort certainly lives up to its name. Situated in Princeton in the heart of the Bonavista Peninsula, the course is as beautiful as it is challenging. Since tee-times are spaced out more than other courses, golfers can enjoy a more leisurely paced game. Players are rewarded at the end of their round with a fantastic view of the Atlantic Ocean. The View Golf Resort is an ideal vacation spot offering luxury accommodations, a full service dining room and lounge. To round out the day, go for a dip in tranquil Princeton Pond, or take in the majesty of nature found along nearby hiking trails. Head northeast to view the rugged shoreline on the way to Cape Bonavista.